Even though I love talking about the way things smell, I don't have a very sophisticated vocabulary for doing so. 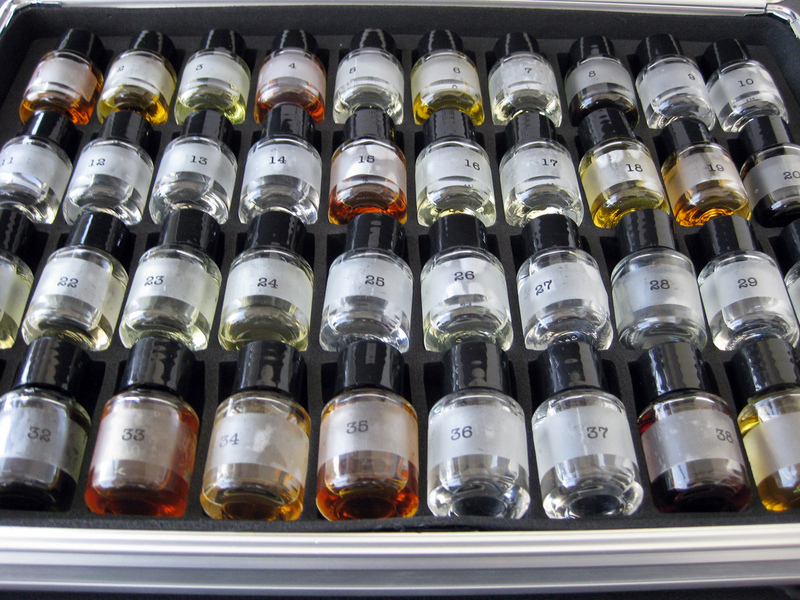 I would like to be better able to identify not just notes in perfumes, but things I smell throughout the day. Studying with olfactory flashcards would be so much fun: carrot, celery, coriander, cucumber, cumin. I'd like cards with all the weird flavors from those labs in New Jersey, too: hamburger, bubblegum, banana malted milkshake. 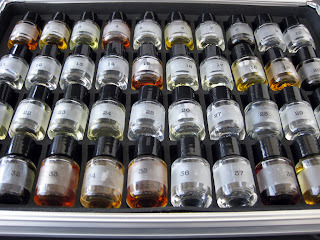 The closest available thing to a flashcard set might be Le Labo's Olfactionary or Mandy Aftel's Oil Kit. Le Labo's goal with the Olfactionary's "is to help you 'open your nostrils' in the same way good books open the readers' eyes to life. Philosophers speak about 'men with stitched-up eyelids' when referring to people who are blind to the basics of existence. Most of us live with stitched-up nostrils, having grown up in a world where smells are hidden away, and our olfactory senses are left to wither." I don't know that we willfully let our olfactory senses wither, but most of us don't spend a lot of time training them. I would love to set up my own little lab full of these tiny bottles, a makeshift perfumer's organ on our rickety old sewing table. Jelly Gamat QnC, Aquatic Essen, Essen Ikan Mas, Umpan Ikan Mas, Jelly Gamat QnC, Umpan Ikan Lele, Ace Maxs, Jelly Gamat QnC, Jelly Gamat QNC.